Zena Cardman is getting an opportunity that is literally out-of-this-world. Cardman, a doctoral student in the College of Earth and Mineral Sciences, is one of 12 people selected this month for NASA’s 2017 astronaut class. 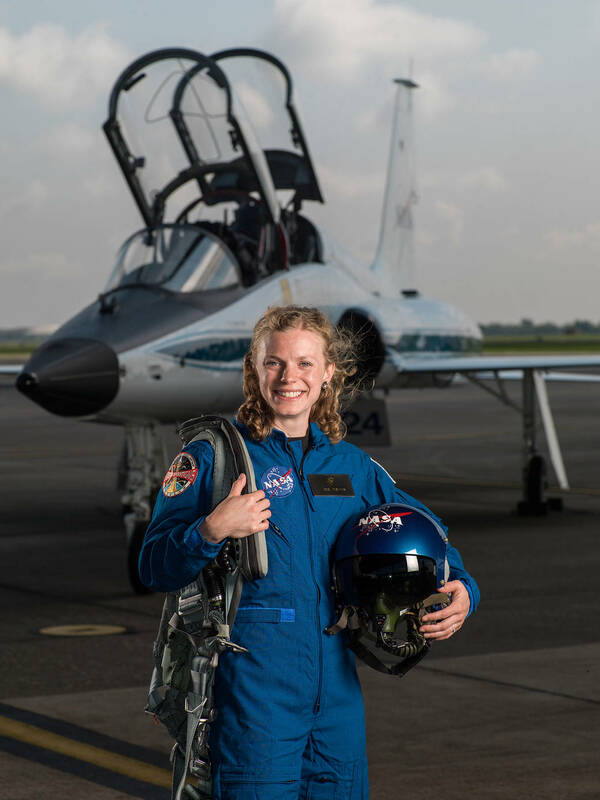 It’ll take a while for Cardman to get into space—her class will participate in a two-year training program before she qualifies for a potential mission—but she could become the fifth Penn Stater to fly with NASA, joining Guion Bluford ’64; Robert Cenker ’70, ’73g; James Pawelczyk ’85g; and Paul Weitz ’54. Cardman has been working toward a doctorate in geosciences, focusing her research on microbe-rock interactions; she says she’s currently studying cave slime and the “totally dark” environment it lives in. Entry filed under: Students. Tags: College of Earth and Mineral Sciences, NASA, Zena Cardman. It seems a bit unfair that some can obtain this position by grabbing funds left and right to vacation at exotic and flashy parts of the world to “dig mud and pick up rocks”, while others in the group had to risk their lives in the military or selflessly serve sick patients. I guess the diversity of the team is good, but it seems that some had more luxurious paths than others.